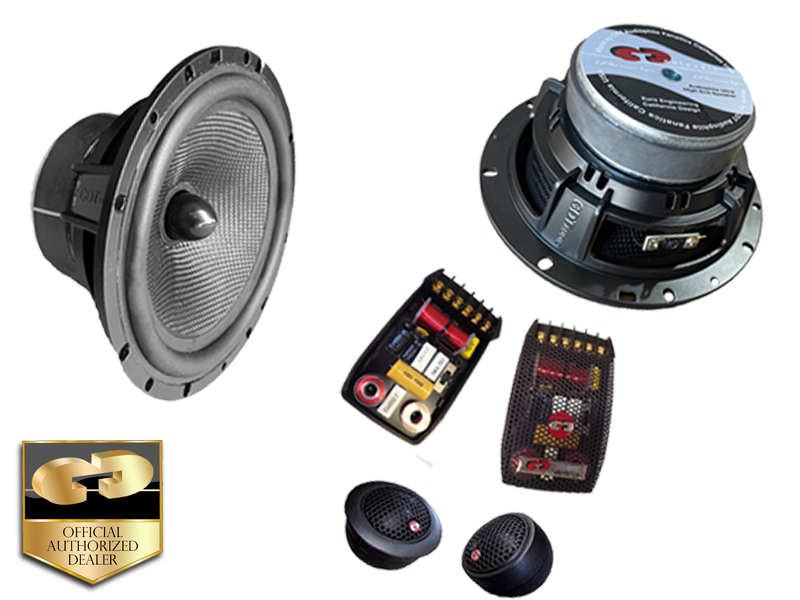 CL-62 6.5" Component System is built to deliver the truest, in-car sound possible, the most accurate and natural performance ever-the type of performance that has earned our design team countless awards and unanimous praise from around the world. The engineering design goal for CL-62: Deliver optimum sound quality with easy installation. CDT Audio CL-62 CL-6 6.5" “Contoured Dispersion Technology" 6.5" mid-woofer is so efficient, it can play much higher into the midrange frequencies than almost ANY OTHER CAR SPEAKER! The cone of the CL-6 mid is made of a light yet rigid, mixed fabric carbon coated paper. The type cone material among audiophile listeners considered the best for sound quality. It’s the professional installers favorite sound system to install. "The CDTAUDIO speaker possesses an overall pleasant and well balanced reproduction of music, and comes alive with every kind of good music. It adds nothing unnatural to the music, and leaves nothing of the music details out. Voices are natural, piano comes out clean and uncolored and the imaging is great. In short we say, "this system is tonally perfect!" Summary: "The CL-62 gave a flawless tonal performance. The bass is very dynamic with great resolution. It's a real "Sound Hit." Overall champion of the four brands we tested.